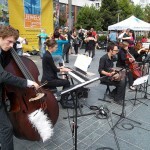 SF Loves Tango is now seven years old! Launched in March of 2012, this website has been a labor of love. 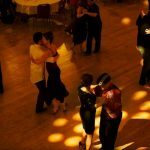 When it began, I had been living in this city for a total of four years and was enamored with both San Francisco and the Tango scene. 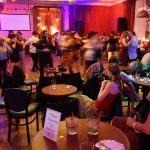 Since I was in between jobs and in need of a project, I decided to create an online tango “magazine”, to share the stories of the people and places that make San Francisco such a wonderful Tango destination. There would be articles about the milongas, the teachers, the musicians, festivals and more . 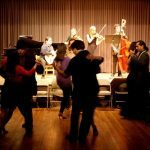 Over time I included stories of inspiration, and tidbits of Tango knowledge that I acquired on my own Tango journey. To round it out, I included pages on where to buy Tango shoes, clothing, music and books. 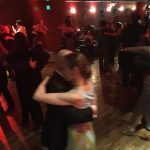 I’ve really enjoyed having an outlet for sharing thoughts on what is Tango and helping others to also find joy in this unique and creative dance. It was a personal challenge to see if I could create such a site and oversee its success. Over the past seven years, much has changed, for myself personally, and with San Francisco. After much consideration, I have decided that it is time to move on. 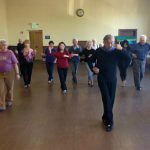 For one, I no longer live in the Bay Area full time, and with a constant flux of changes to San Francisco’s tango scene, it’s difficult for me to stay on top of all that is happening. I am forever grateful to the guest writers who helped to add another voice to SF Loves Tango. The very first guest author was “Tanguera Escondida”, who wrote several stories aptly describing her Tango journey with both humor and eloquence. (sflovestango.com/more-tango-confessions-by-tanguera-escondida/) Tanguera Escondida chose to remain anonymous, but I am thrilled to say that she is now a very successful freelance travel writer. 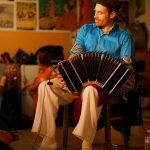 Also, many thanks to Sascha Cagen of Quirkyalone for her insightful posts such as “Tango and the Feminist” and defining the “Tangasm” (sflovestango.com/tango-and-the-feminist/). And last but not least, Andrea Bindereif, a professional journalist whose research and excellent writing provided both education and entertainment. 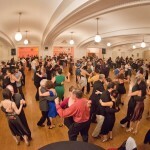 One of my favorites was her story on SF’s legendary Tuesday night milonga at El Valenciano. 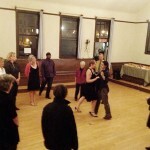 (sflovestango.com/celebrating-20-years-of-tuesday-night-tango/). And thank you San Francisco Tango community, promoters, teachers and dancers, for allowing me to interview you and share your stories! And most of all, I am grateful to SF Loves Tango’s dedicated readers and subscribers. If you live in the Bay Area and are interested in taking SF Loves Tango to a new level, please contact me. Otherwise, SF Loves Tango will close down on March 31, 2019. Best wishes for your continued life adventure! Thank you for all you’ve done to support y/our community sharing the dance we love to share.